Returning customer, always happy with my order. Shipped fast, made well. 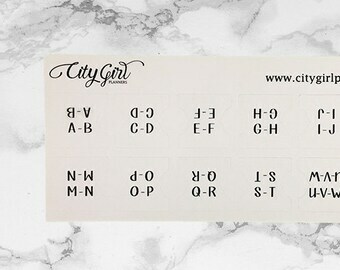 New alphabet laminated tabs up in the store! I'm going to use them on my Contact sheets. I love when customers share their excitement with us! Thanks, Sarah. 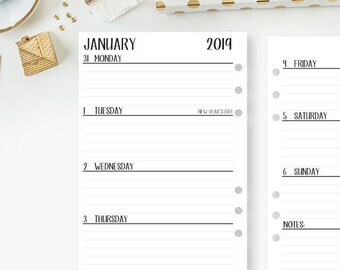 Being a wife, mom, homeschooler to my two boys, Sunday School teacher and business owner, has given me an appreciation for all things planner related. 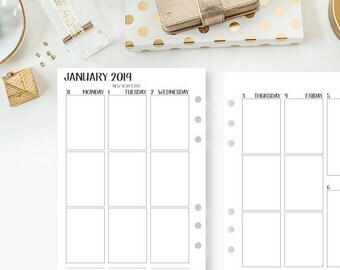 It is a chore to keep everyone on schedule, especially if planner peace is alluding you. While searching for the perfect planner, nothing fit me. That's when I decided to take matters into my own hands. 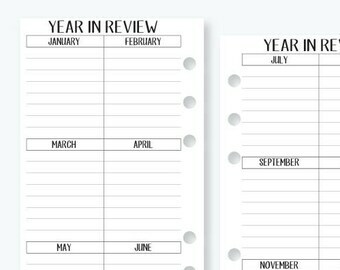 CityGirl Planners products were born out of a love of creating functional pages to get our life organized and stay that way. I like to keep them simple. That way you can add your own flair with our materials. Why should you have to fit my style? Get creative all over ours...like bold colors this week... neutrals the next? Have at it! 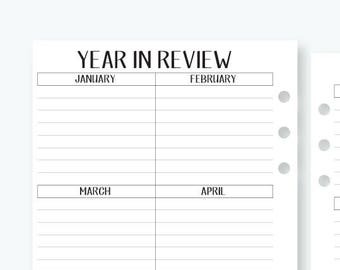 What good is your planner if it doesn't speak to your spirit? I want you to be and stay inspired in your planning. I am the creative force behind CGP. 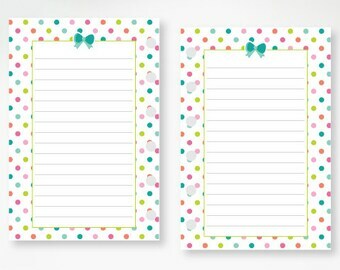 Having a love of paper and pencils from a young age, it's wonderful that I get to dream up stationery related products. I also have a disturbing fascination with small leather goods. I am a simple country boy trying to adjust to big city living. I print, cut and ship orders from CGP as quickly as I can so you guys can get straight to planning. I am fortunate enough to work side-by-side and help my wife realize her dreams. I help with the down and dirty of printing, cutting and inventory of CGP inserts and refills. Occasionally I can be found cutting and dying a notebook cover or two. I am the customer service representative and your guide to all things planning. I answer emails, check over orders and make sure everything is ready to go for production. I am also assistant to the head boss. I help with everything except get coffee. 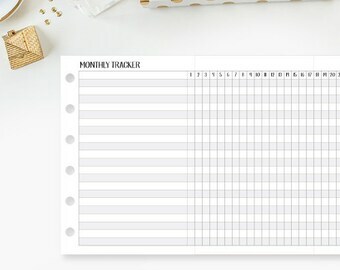 Welcome to the CityGirl Planners shop. We appreciate the confidence you have placed in us and look forward to providing you with the best possible products and service. We always use the address you provide us via your account on Etsy. Please double-check your address before ordering. Any change of address requirements may incur additional fees due to the lengthening of your processing times. Returns are available only within 14 days from the delivery date. Orders older than 14 days cannot be returned. No exchanges or returns on sale/discounted items. All orders have a 12 hour grace period in which we will cancel and refund your original purchase price plus shipping. Please make sure that you double check all items (especially sizing on multiple products) in your cart and your shipping address before checking out. After the initial 12 hours, your order is placed in the queue for immediate processing. No cancellations can be made after an order has shipped. If you refuse delivery of your package or fail to pay a customs fee, a refund will not be issued. If your order arrives with errors or defects, please contact us within 2 days of delivery. To help us expedite your replacement, please send us your order number and a photo of the products you received. We cannot replace items with errors that are reported to us 30 days after delivery. We will only replace “like” item for “like” item. Example: you ordered a Personal size Bill Tracker that was missing pages, we will send a replacement Personal size Bill Tracker only. 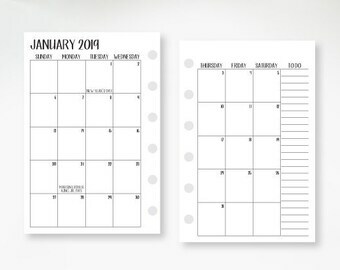 We will not send an A5 Menu Planner as a replacement. Buyers are not responsible for replacement shipping. We will take care of shipping fees because of our error. Please note variations can occur during the printing process. These characteristics do not affect the usability of our products and are not considered damaged/errors. Remember, these are hand-crafted products made right here in the USA. We do not mass produce. 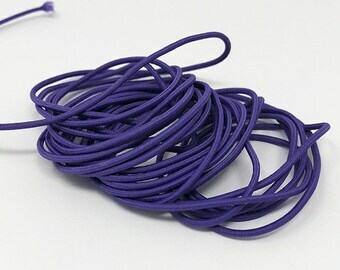 There are bound to be differences in our products each time they are made. As always, if you have any questions before and after the sale, we want to answer them. Our team works hard to make sure you are happy with every order you place with us. This applies to items that you choose to return yourself. This does not apply to items that are shown to be defective or have errors made on our part. Returns are available only within 14 days of delivery. Orders older than 14 days cannot be returned. Customized (punching customizations, seconds, personalization, color changes, et al) and dated materials may not be returned. See Seconds/Clearance/Customs section below for more in-depth detail on what is considered a custom product. All items must be returned in resalable condition. All promotional materials (e.g. free gift with purchase, buy one get one free, etc.) must be returned with item(s). If the promotional item is not returned, the retail price of the item will be taken out of the refund. If the products are used or damaged in any way (incomplete, missing pages, folded pages, etc.) the refund will be denied. Original wrappings, if at all possible. We have had paper products just thrown in mailers without any protections that are destroyed by the time they are returned to us. We cannot resell wet, damaged, crumpled, destroyed products. We will not refund for products damaged in return shipping. Failure to provide adequate repackaging is not the fault of the Post Office, it is the negligence of the buyer to properly package the materials. Please email us through the Etsy convo system for a return authorization. Any returns that are sent back to us without authorization will be refused. Please include a note with your order number or the original invoice for faster processing of your return. Items must be shipped back within 14 days of the authorization. Unless an error has been made on our part, the buyer is responsible for return shipping. Original shipping costs will not be refunded on a voluntary return. If may take up to 4 days for us to process your return. Please see your original method of payment’s customer service for details regarding when you will see the money returned to your account. If you purchased during a sale, you will receive a refund of your original purchase amount. You will not receive the current retail price. Clearance and Seconds along with custom items are non-returnable and non-exchangeable. All sales are final concerning these products. Leather notebook covers that the customer has selected the stitching thread color and/or pockets becomes a custom order. Simple notebooks without the aforementioned customs (only selected elastic colors) are not considered custom requests. Any corner-rounding along with the disc-punching add-ons or color changes on our products is considered customizing your order and cannot be returned or exchanged. As we cannot edit orders that are currently processing, we will need to refund and cancel your current order. You can then place another order for the correct items. Please note: your order will lose its place in the queue. It’s always best if you need changes to alert us immediately. If your order arrives damaged, please contact us within 3 days of delivery. Please keep the original shipping package. It may be needed for filing a claim later. It’s also a good idea to photograph the damage as it can be used as evidence in the claim. Damaged items will be replaced with the exact same product. CityGirl Planners ships from Columbus, Ohio using USPS. Please see our Shipping Policies for more information regarding shipping and processing times. Due to the nature of Instant Download products, no refunds, returns or exchanges can be offered. We reserve the right to refuse to emboss any phrase or words we find inconsiderate, profane or racially insensitive. We will email you immediately to make a different choice or cancel your order. At the present time, CityGirl Planners accepts Paypal and credit cards via Direct Checkout through Etsy. Payment is preferred at the time of purchase. Purchases will not ship until payment has been made. Additional information, please read: All custom orders must be paid upfront before any work will start. Thank you for your understanding of our time and hard work. At this time due to order volume, we are not able to combine shipping on multiple orders. 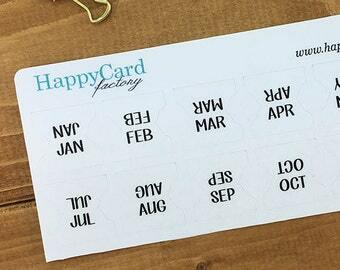 We always use the address you provide to Etsy through your account. Please double-check your address before ordering. Any change of address requirements may incur additional fees due to the lengthening of your processing times. United States Postal Service First Class is the most cost-effective way to ship but is also unreliable as far as expected delivery times. All orders come with tracking that updates within 24-48 hours of shipment. Please be patient with the tracking as it can be slow to update online. CityGirl Planners cannot guarantee shipping times. The Estimated Delivery date on your order is just an estimate, not a guaranteed date. If the USPS cannot confirm your address, there may be delays in shipping. Priority Mail shipping upgrade options are available for each listing at checkout if you prefer. Please note the Postal Service is no longer guaranteeing 3 days for Priority at this time. Once an item is marked 'shipped' and in the hands of the USPS, it is out of our control as far as delivery times. For any questions or concerns regarding tracking, please contact your local Post Office first. They will be able to further assist you with information regarding the state of your package quicker than we can. CityGirl Planners is not responsible for damaged, lost or stolen packages although we will help you work with the Post Office to get your issue resolved. On INTERNATIONAL shipping, your package may be subject to additional fees imposed by the destination country. You, the buyer, are responsible for any costs such as duties, import taxes, and customs clearance fees. As an Etsy seller, we work in compliance with the import laws and regulations of the countries you are shipping to. This includes accurately representing the contents of your package. For example, we must ensure that a sold item is not marked “gift” on a customs declaration form. Import tax (sometimes known as VAT) is a part of purchasing from another country and it is the responsibility of the buyer. As a venue, Etsy cannot provide specific tax advice. I am not permitted, as a US seller, to charge additional taxes, duties or customs charges, collect and then remit import taxes to other countries as each country has its own rules and rates. So it is collected at the time an item is received at your post office and then remitted to your local tax authorities. 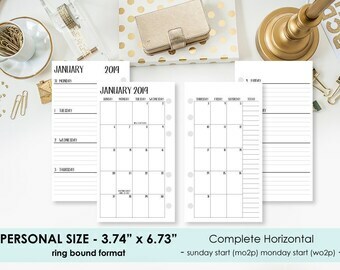 CityGirl Planners shop hours are Monday through Friday 9 am - 6 pm EST. If you send a conversation outside of these hours, you may not receive a response until the next business hours. 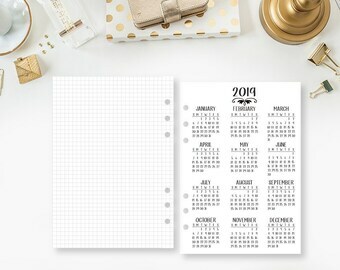 PLEASE NOTE: CityGirl Planners (CGP) materials are for personal use only. Printed materials may not be duplicated and the copy resold. You may gift or resell any purchased materials you no longer need/use/want that was bought for your personal use. Please read and understand each product’s descriptions, sizes, and formats carefully before purchasing. Note: all pages are hand cut and page size may vary slightly. Shop policies may change at any time. Thank you for your interest! To fulfill your order, you must provide us with certain information (which you authorized Etsy to provide to us), such as your name, email address, postal address, payment information, and the details of the product that you’re ordering. You may also choose to provide us with additional personal information (for a custom order, for example) if you contact us directly. •	Service providers. We engage certain trusted third parties to perform functions and provide services to our shop, such as delivery companies (UPS, FedEx, or U-Pic Shipping Insurance, for example). We will share your personal information with these third parties, but only to the extent necessary to perform these services. •	Compliance with laws. We may collect, use, retain, and share your information if we have a good faith belief that it is reasonably necessary to (a) respond to legal process or to government requests; (b) enforce our agreements, terms and policies; (c) prevent, investigate, and address fraud and other illegal activity, security, or technical issues; or (d) protect the rights, property, and safety of our customers, or others. We are currently not taking on any custom orders. We will update our Social Media sites when custom work becomes available again. PLEASE NOTE: Any customizations left in the "Notes to Seller" section at checkout, unfortunately, will not be fulfilled unless there has been prior communication with us and agreed upon. What type/weight of paper do you use for your inserts? The paper type, brand, and weight are a huge component in our business. We, unfortunately, can't share those details. Rest assured it is a premium paper that is thicker and smoother than standard weight copy paper. 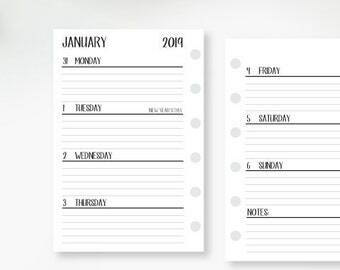 Our paper has very minimal show through while not being bulky in your planner. We use a variety of pens and have no bleed issues. Although, some shadowing may occur the heavier you write with some gel, felt tip or fountain pens. Do you offer any discounts for bulk ordering? We do not offer discounts for bulk orders at this time. Yes, we do offer wholesale ordering. Please convo us regarding our Wholesale Reseller Program. I forgot something/wrong size/different format. I need to change my order. Unfortunately, once an order is submitted we are not able to make changes within our system. Our order processing backend does not allow us to edit orders. Please be sure to double-check your order (sizing, format, etc.) before you hit submit as we cannot make notational changes on your invoice due to our current sales volume. You mean I cannot change my order? As we cannot edit orders in processing, we will need to refund and cancel your current order. You can then place another order for the correct items. Please note: your order will lose its place in the queue. It's always best if you need changes to alert us immediately. Can you combine shipping on my orders? No, we are not able to combine shipping on multiple orders or add additional items once it has been placed.